Sometimes we live in the perfect house, in the perfect neighborhood, but with the wrong kitchen. Does this sounds familiar? It does to many people! 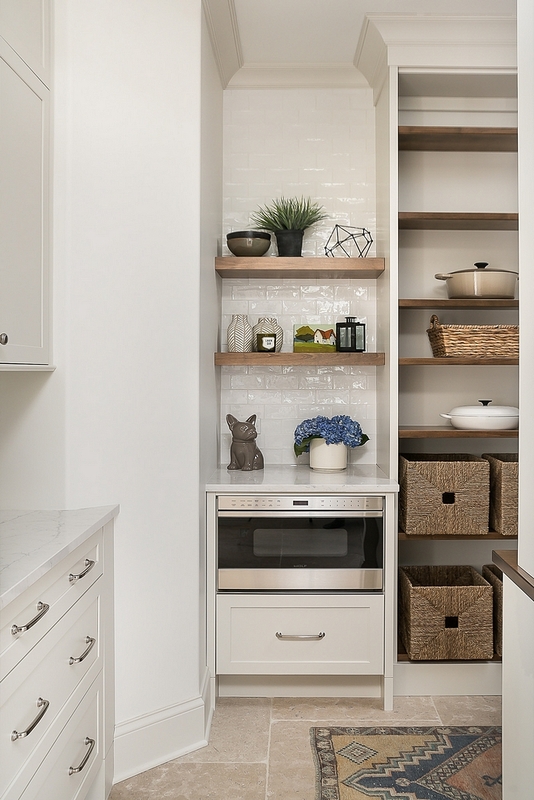 The years go by and the more we look at our cabinets and the kitchen layout, the more we wish we could tear it all down and start all over again. 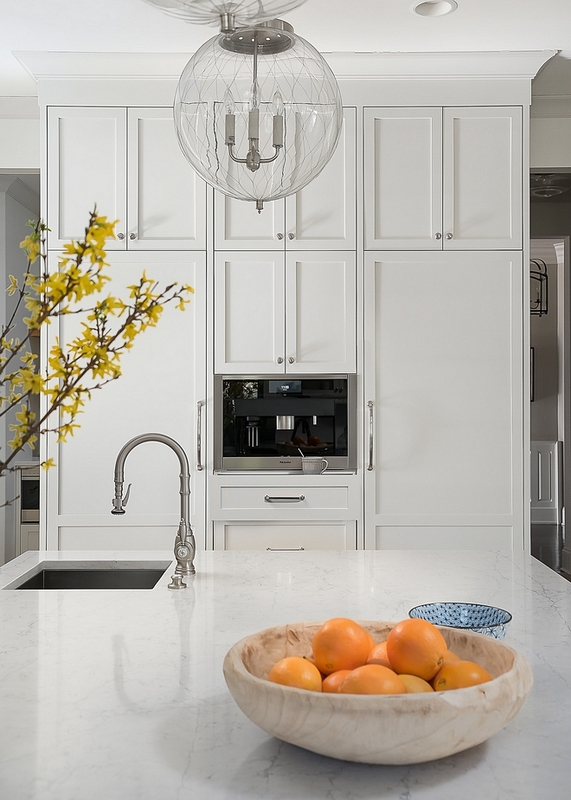 With interiors by Amy Tausk of Swoon Interiors and with cabinet and architectural design by Stephanie Frees of Plain and Posh, this home’s owners finally had all of their wishes come true! 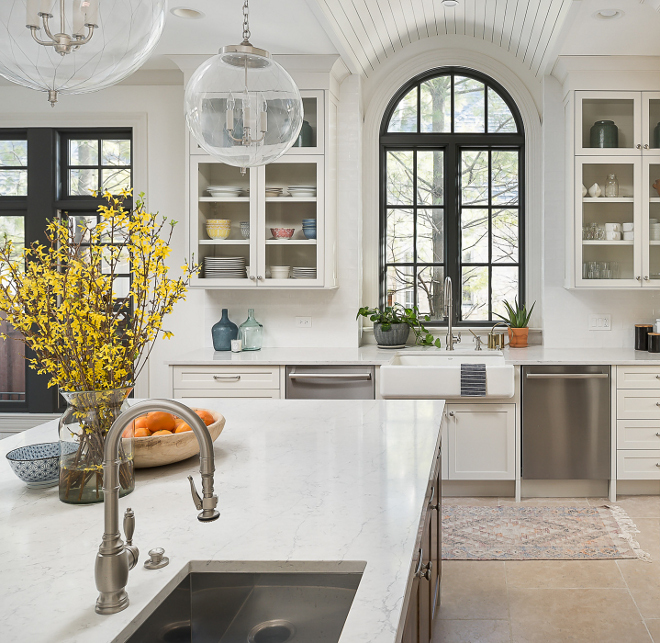 Their old kitchen felt too traditional with an odd layout and the tile flooring was terrible – it was hard to keep it clean with their deep grout lines. A nightmare for any cook! Take notes on the sources shared by the designer and get ready to pin! 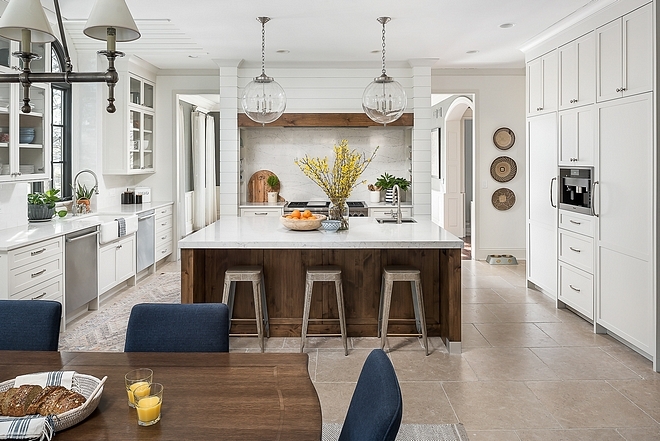 I am sure you will feel inspired by this kitchen and dining room renovation. 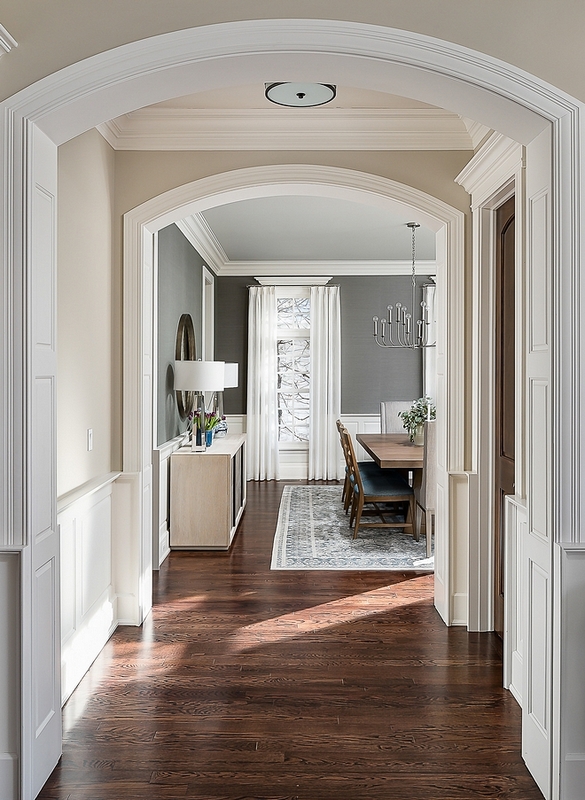 The foyer opens directly to a newly renovated dining room. The hardwood flooring was existent to the house. 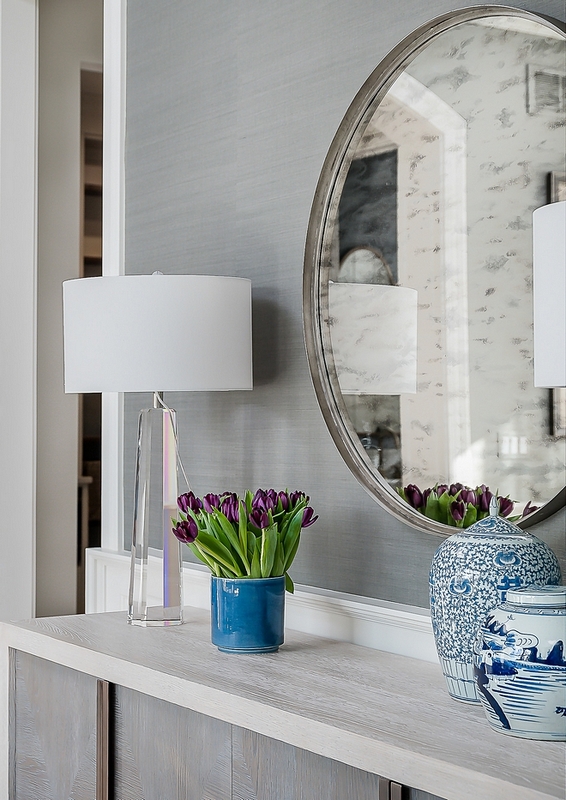 “We wanted a light and soothing color scheme and the design all started with this gorgeous green-gray grasscloth wallpaper. My clients wanted it to feel elegant but not too fussy or formal. 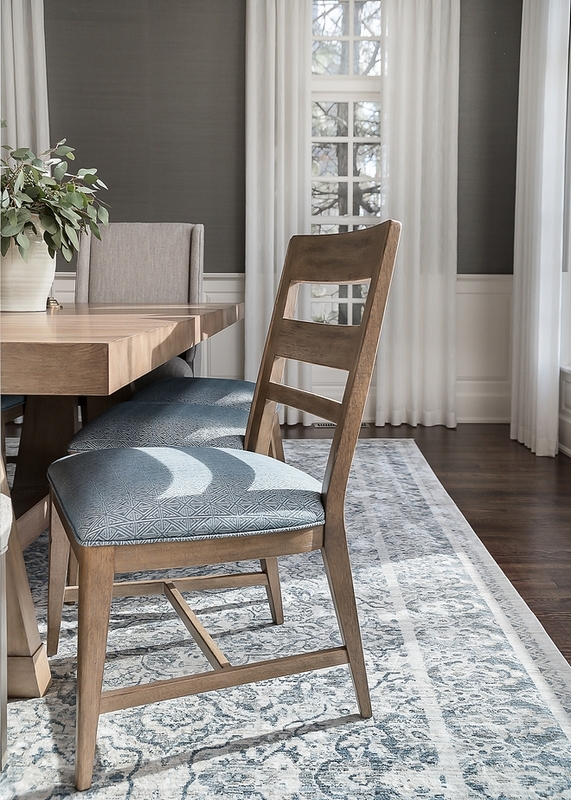 I think we achieved that with the lighter wood tones and the more casual side chairs.” – Amy Tausk of Swoon Interiors. This two-toned sideboard is from One Kings Lane. 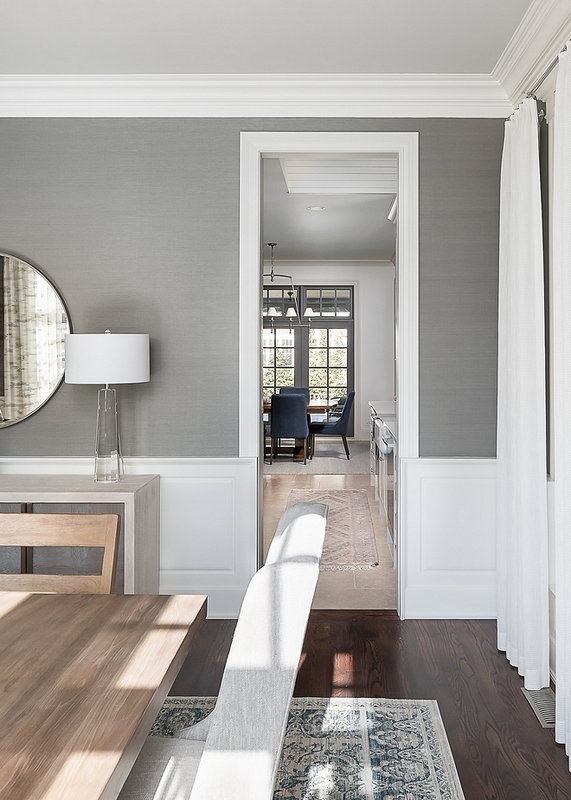 A round mirror creates some balance and reflects the natural light in this dining room. 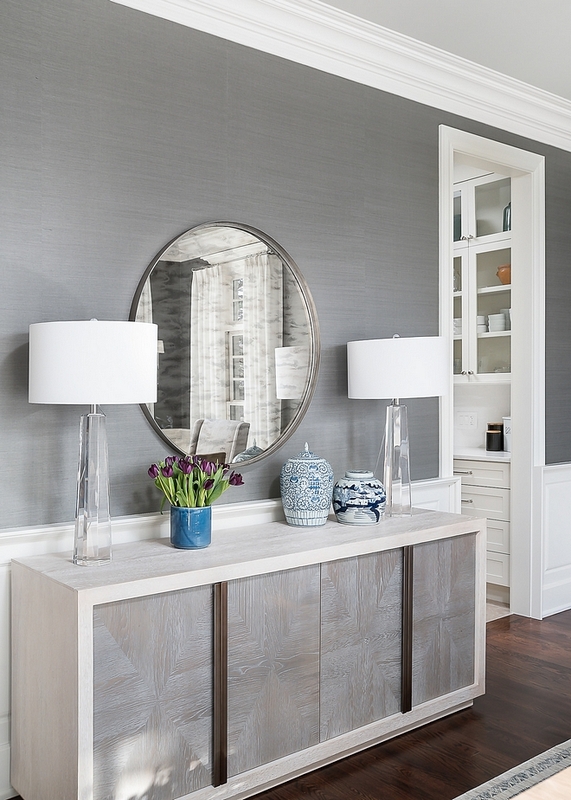 Beautiful Round Mirrors: Here, Here & Here. Similar Crystal Base with Linen Shade Lamps: Here. Dining room chandelier is Arteriors. 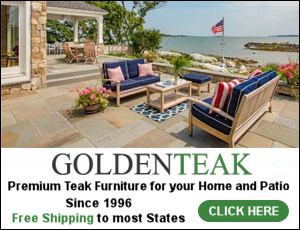 Dining Table and Chairs: Ellen DeGeneres for Walter E Smithe – similar here. 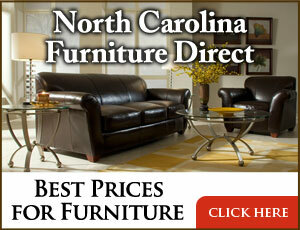 Beautiful Dining Tables: Here & Here. Rug: Loloi Rugs Ellen Degeneres Trousdale. See more beautiful rugs here (sale) here & here. 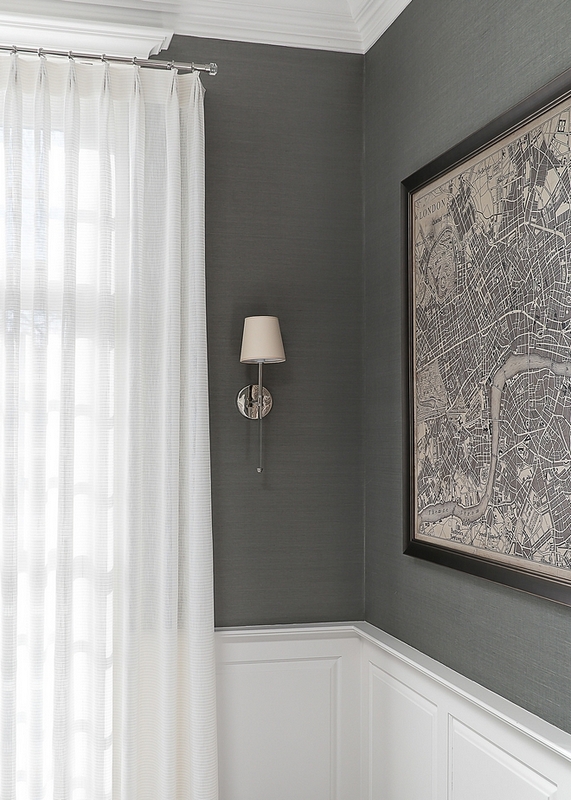 Wallpaper is Thibaut Wallcoverings Grasscloth – similar here & here. 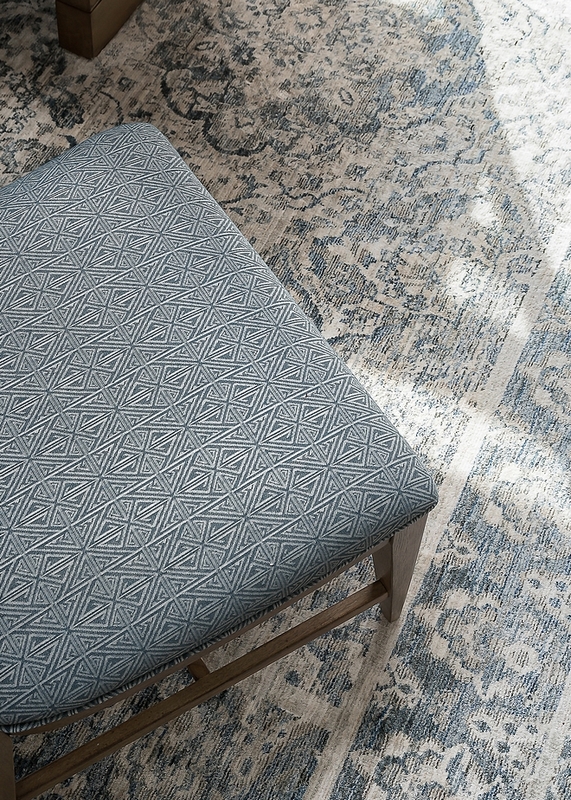 The custom draperies are by Mimsie O’Hara in a pretty sheer fabric with metallic threads running through – Similar Draperies: here & here – Similar Hardware: here. Similar London Map: here, here, here, here, here (vintage) & here. The dining room opens to the newly-renovated kitchen. 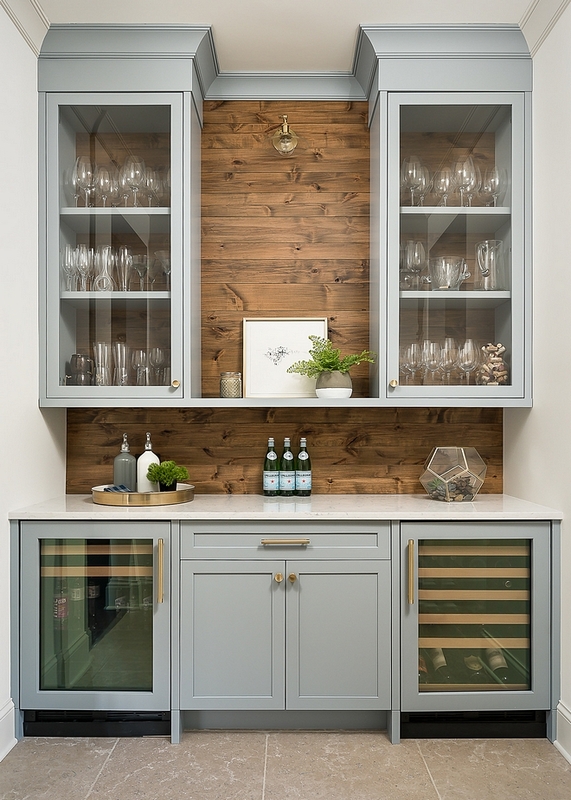 The blue-grey butler’s pantry, painted in Benjamin Moore Solitude AF545, features beverage and wine refrigerators and beautiful glass front cabinetry. 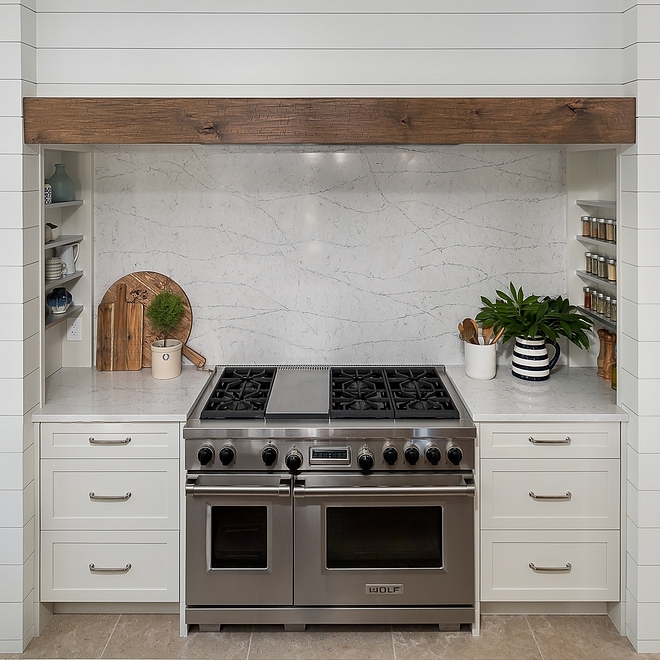 Wood shiplap backsplash is Knotty Alder with a custom stain. 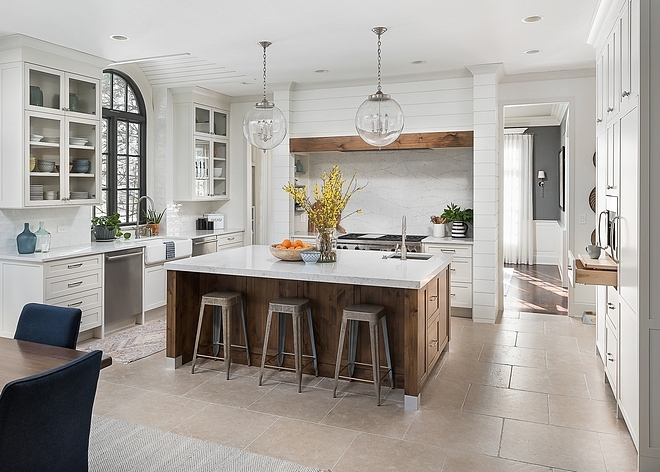 According to the designer, the warm wood planks were stained to coordinate with the island and wood beam above the stove niche. 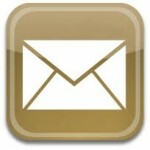 Hardware: Rejuvenation – Pulls – Appliance Pulls – Knobs. 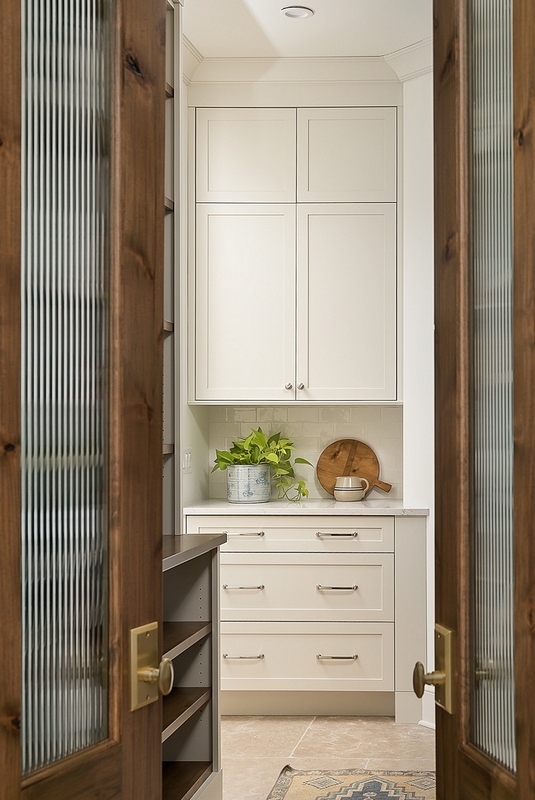 The pantry doors feature fluted glass and brass knobs. 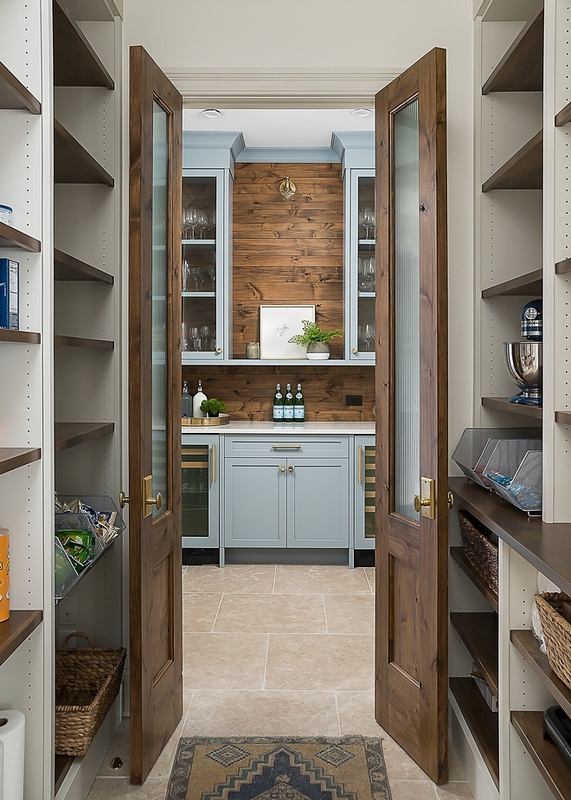 “The new plan called for breaking through that pantry wall into the former Butler’s Pantry and creating a functional yet lovely walk through pantry that could be accessed from either side of the kitchen.” – Amy Tausk. 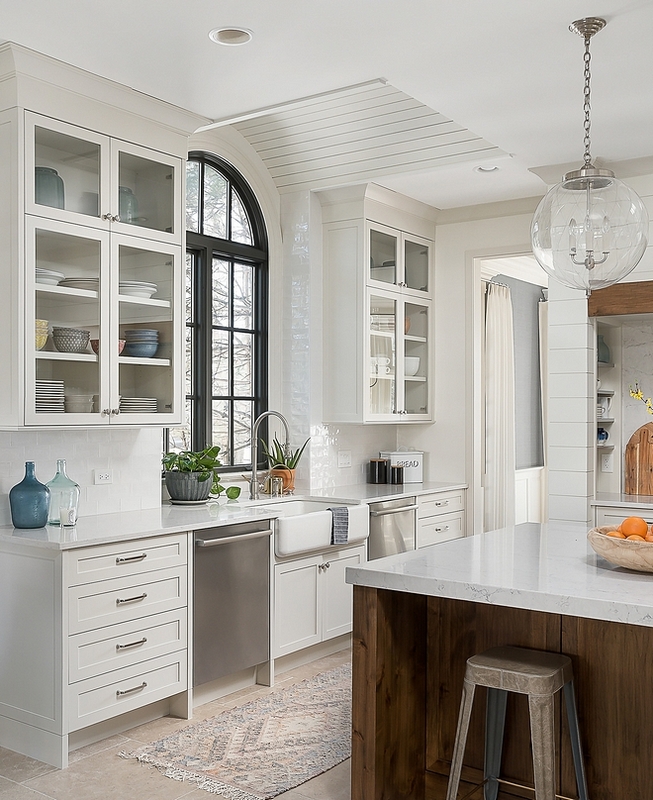 Another set of doors open to the kitchen. 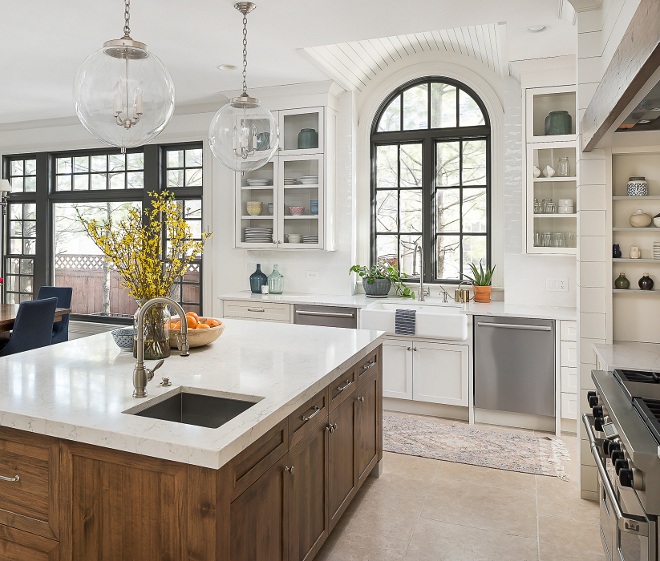 Kitchen Renovation Details: “We opened up the wall on either side of the range to create two entrances to the dining room and flood the kitchen with it’s beautiful light. 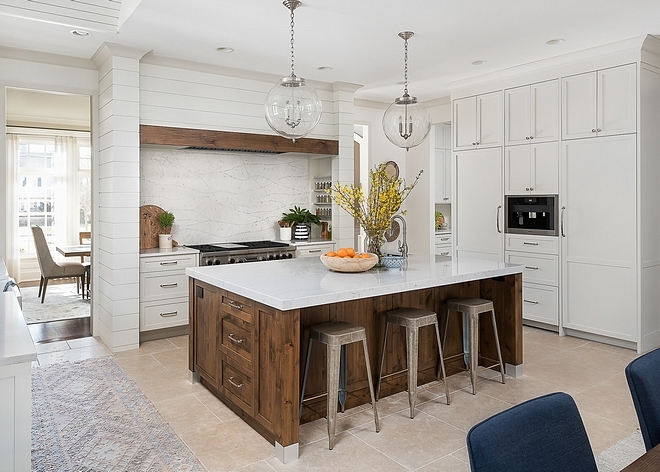 Gorgeous cabinetry designed by Plain & Posh is more streamlined and functional and includes a deeper island in a custom wood-stain to warm up all the space.” – Amy Tausk. The countertops are Silestone Quartz in Pearl Jasmine from their Eternal Collection. 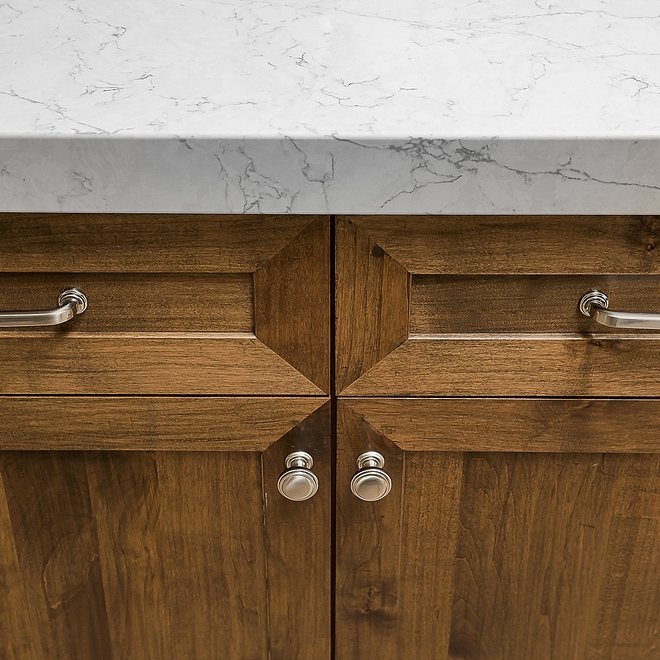 Cabinet Hardware: Knobs – Pulls – in satin nickel finish. Kitchen faucet is Waterstone Model 5200 in Satin Nickel finish. Similar Prep-Sink: Here & Here. 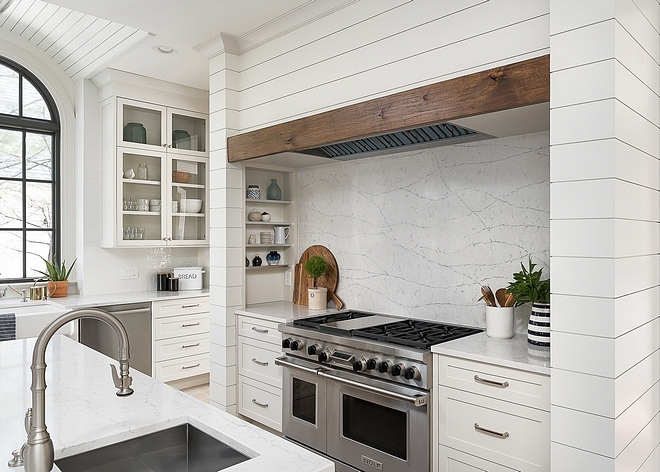 The custom hood area features shiplap painted in Benjamin Moore White Dove and a custom distressed beam for the mantel. 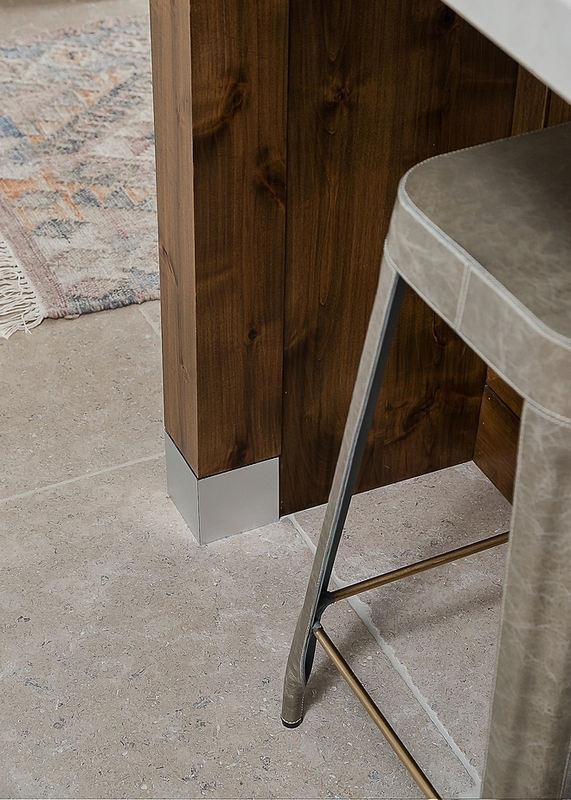 The back wall of the range niche features Silestone Quartz in Pearl Jasmine from their Eternal Collection. Range: Wolf 48” range – similar here & here. Similar Spice Jar Set: Here – Spices: Here. 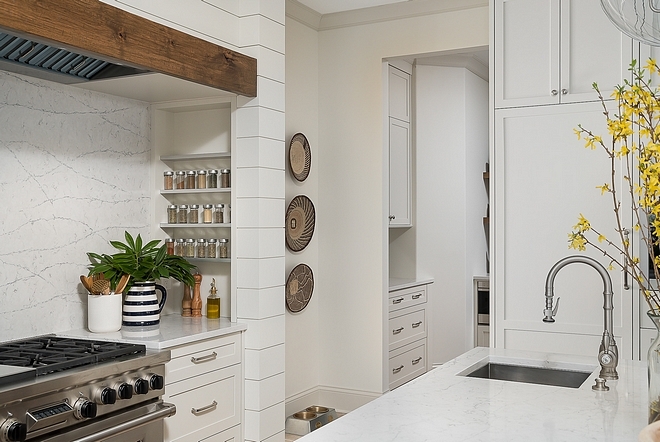 The kitchen hood also features integrated spice shelves at each end. Utensil Holder (used as small planter): Here. 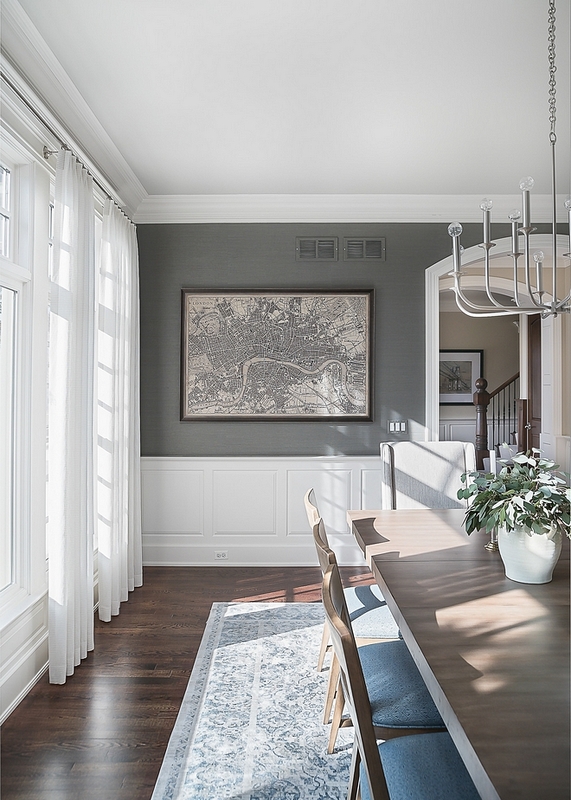 The window trim were painted in Benjamin Moore Kendall Charcoal. 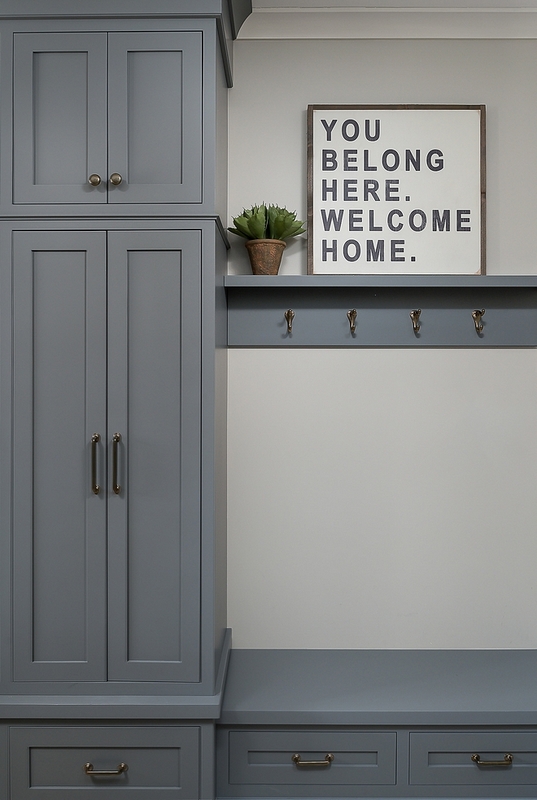 The perimeter cabinetry and walk in pantry are Maple painted Benjamin Moore OC-23 Classic Gray. 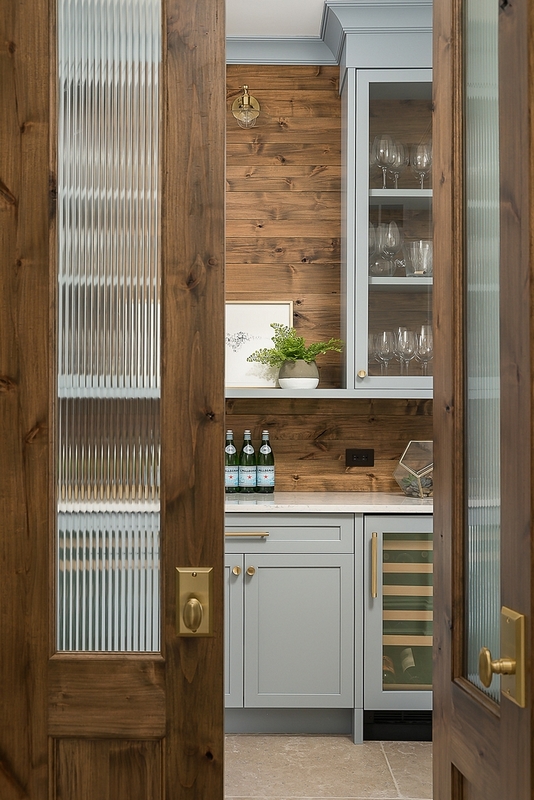 They are a custom designed door style in captured inset and are from the Plain & Posh Custom Collection. 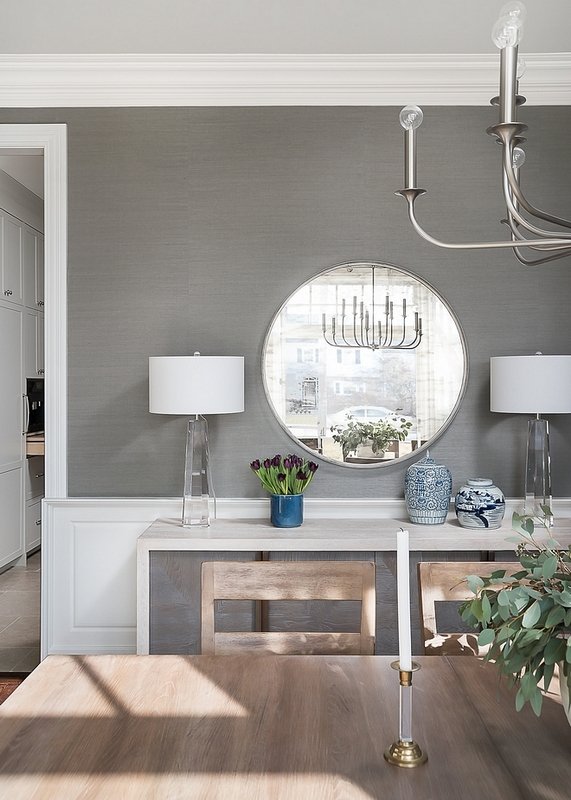 Trim is also painted in Classic Gray by Benjamin Moore. 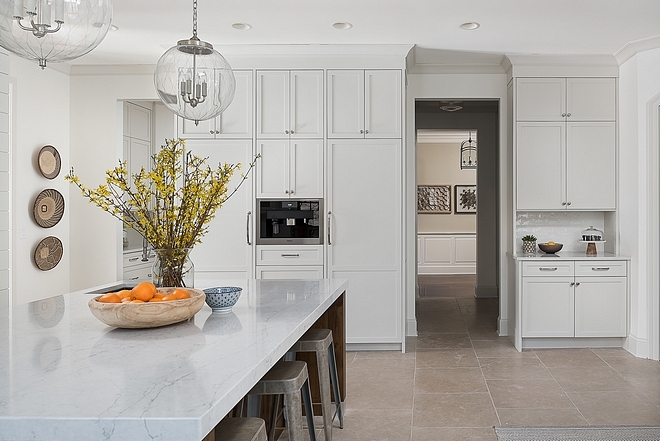 Paneled Appliances: Sub-Zero column fridge and freezer – similar here (paneled-ready) & here (not paneled-ready). 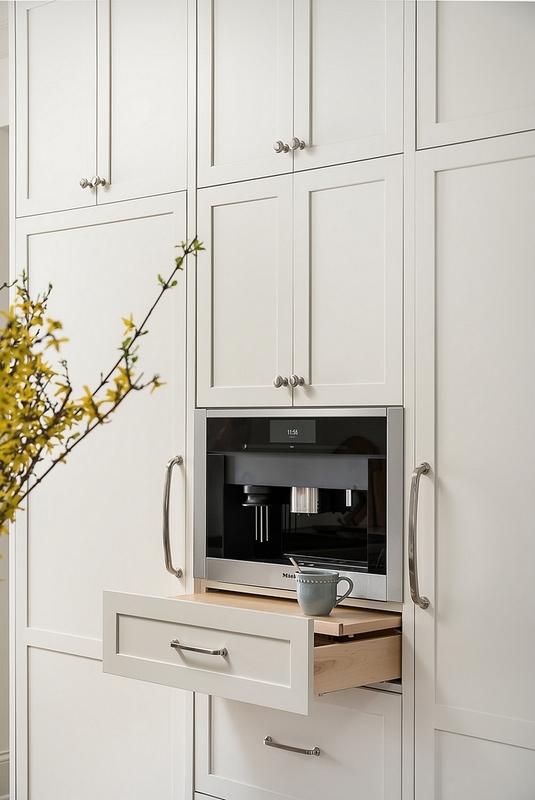 The coffee station features a Miele built-in coffee system – similar here, here & here. Beautiful Wooden Bowls: here, here, here & here. 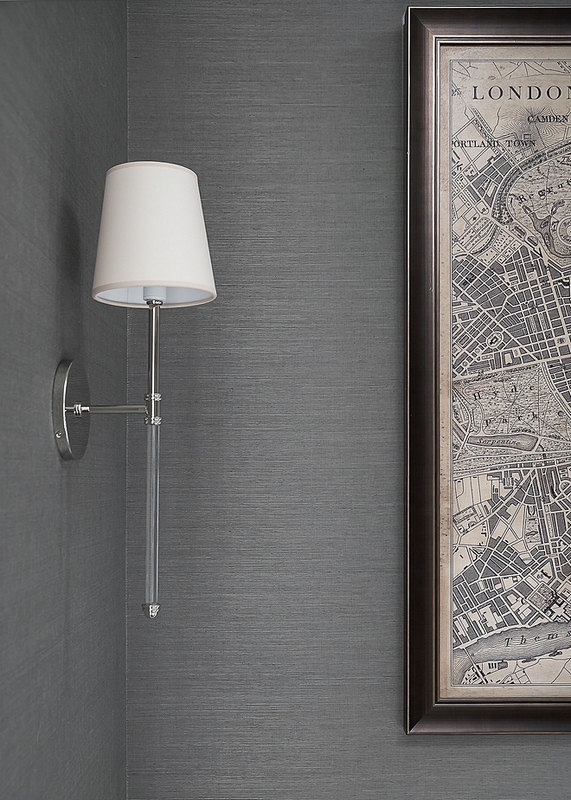 Stephanie at Plain & Posh has such a knack for designing functional little details like this. 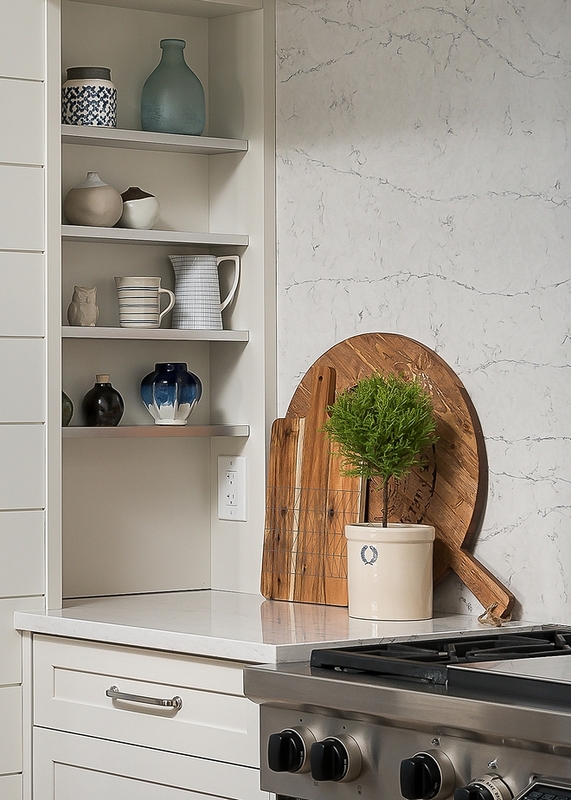 Wall paint color is Benjamin Moore OC-17 White Dove – classic choice! 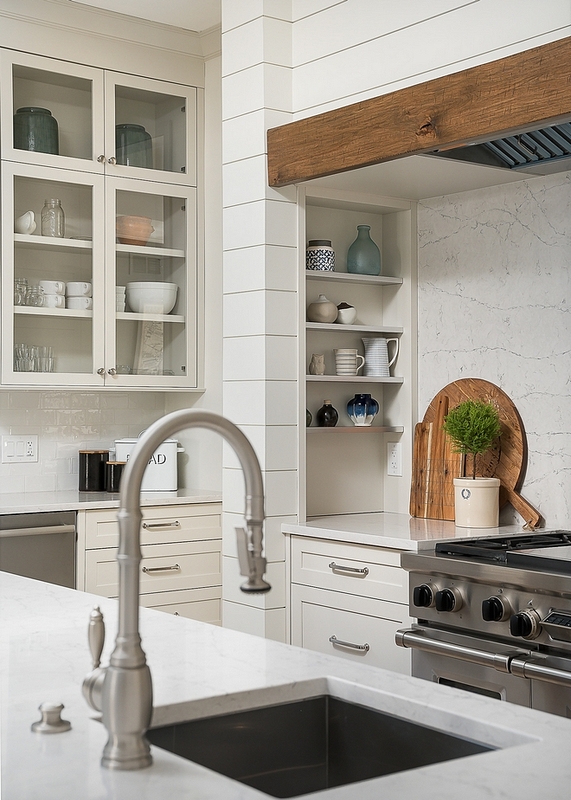 Backsplash tile is Masia by Soho Studio Subway Tile – similar here & here. Similar White Oak Floating Shelves: Here. Similar Baskets: Here & Here. Kitchen Island Cabinetry – Plain & Posh custom collection in stained Alder with some hand scrapped detail and a custom stain. The end posts have brushed nickel foot applied. 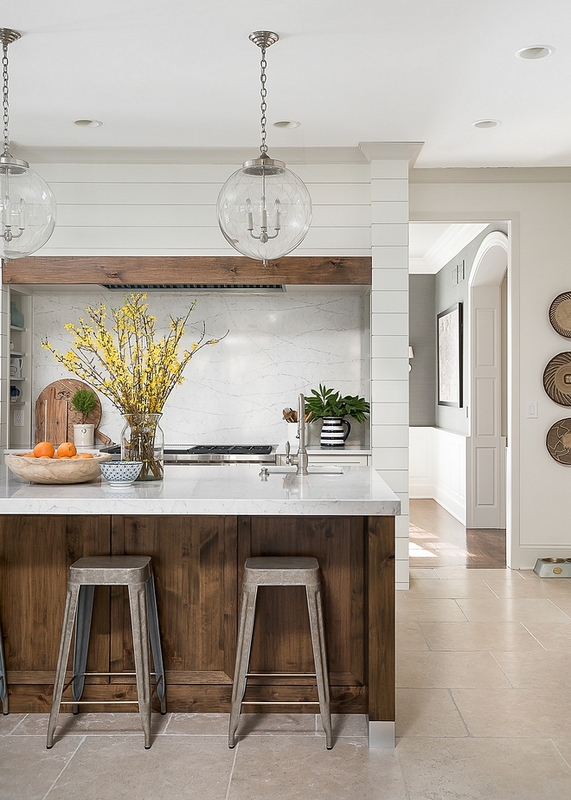 Dining Area Chandelier: Visual Comfort. Pendants: Sorenson 18 Lantern – Remains Lighting – similar here, here, here & here. 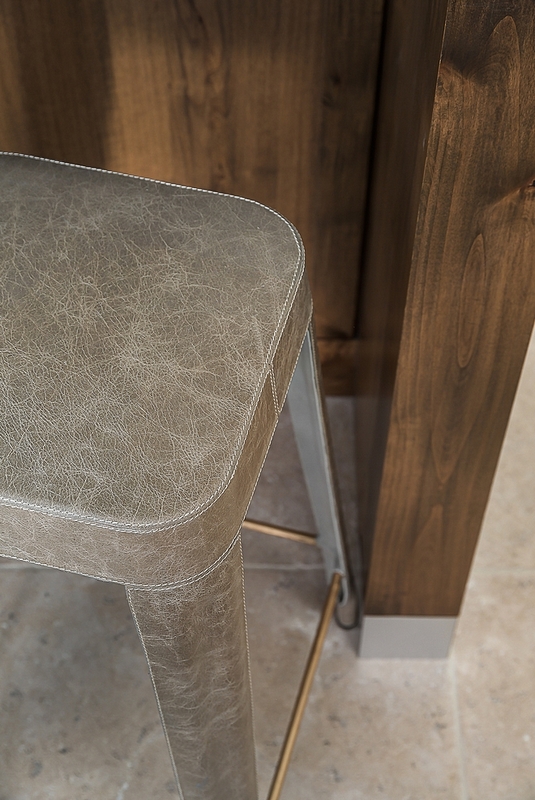 The leather counterstools are Jamy counterstool from MadeGoods. 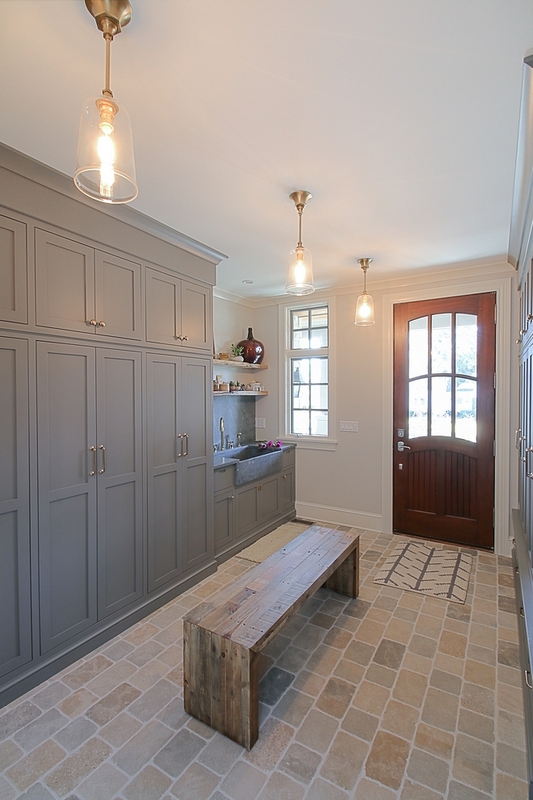 The designers also renovated this beautiful grey mudroom with blue-grey cabinetry and natural stone sink. 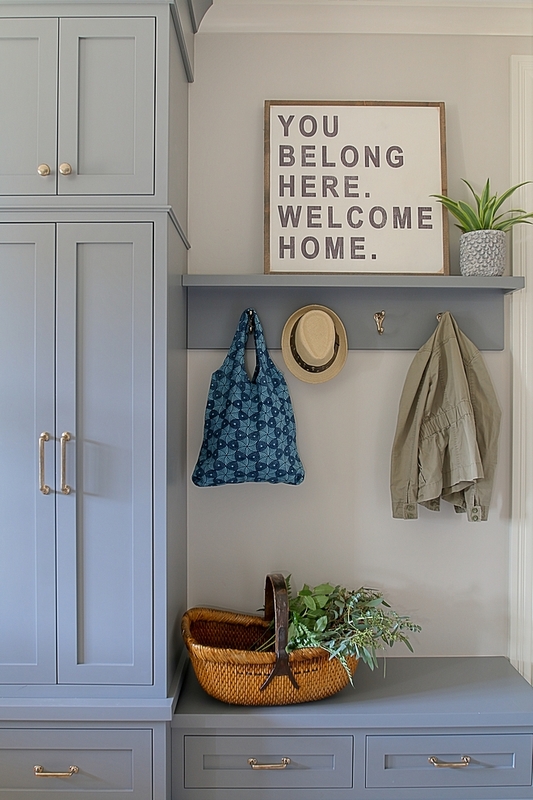 The blue-gray cabinet paint color is Benjamin Moore Boothbay Gray. “You belong here. Welcome home” sign: here. 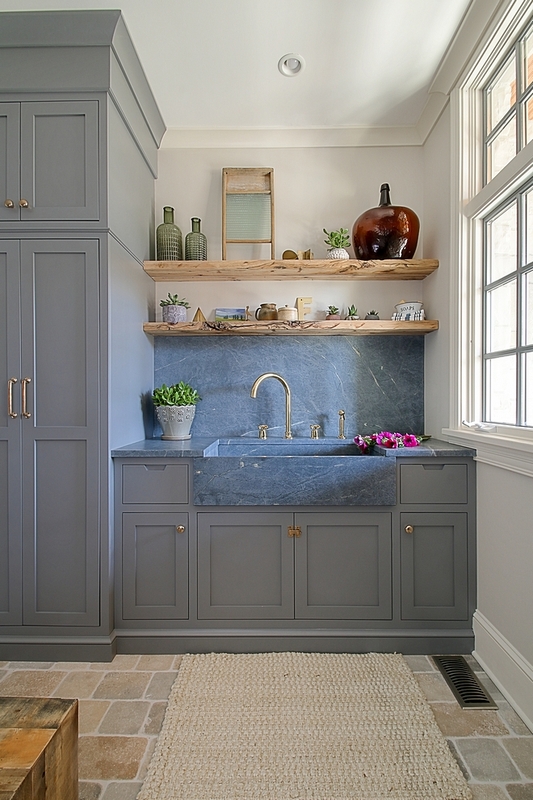 The mudroom features a Soapstone sink and backsplash. 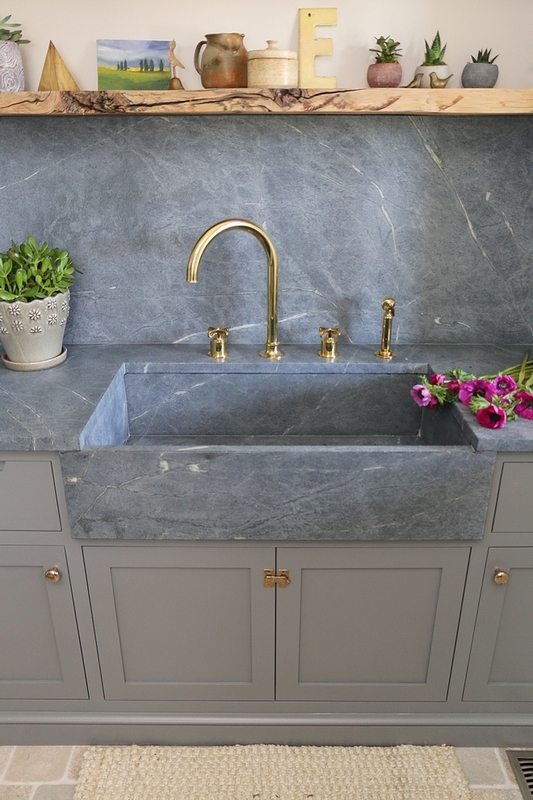 Isn’t this Soapstone sink stunning? 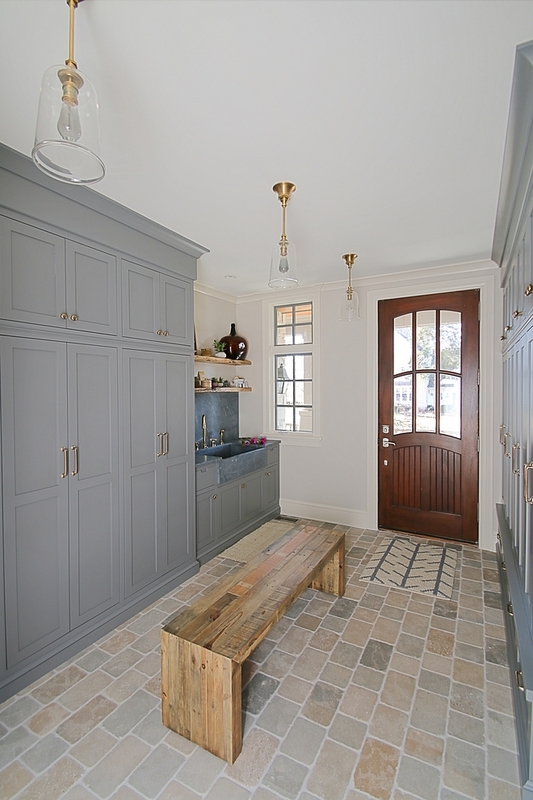 Durable Mudroom Flooring: Exquisite Surfaces – similar here, here & here. Black Home Exterior Design Ideas. 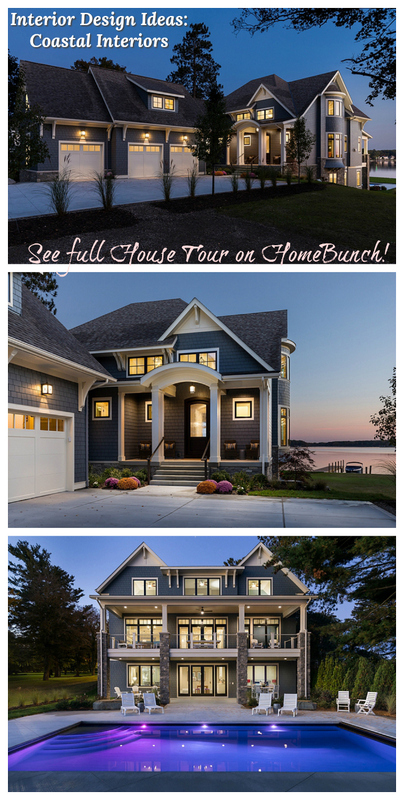 Luciane, this home is lovely. The wood adds so much warmth. Love it. Is there anyway to know where the mudroom flooring came from?